This is our last Scan N Cut for Spring of 2019! This month we will be creating a Applique Pillow using our Scan N Cut. We will be cutting 6 types of fabric. We will be discussing the easiest way to get perfect placement when sewing to create this pillow! We will be using various types of prepared fabric to successfully create this pillow in two hours. This SVG design is from Scan N Cut Canvas and as always, materials are includes. Please arrive 10 to 15 minutes early to set up, and be prepared to start immediately at the designated time. All classes start at the designated time and begin wrapping up ten minutes prior to the scheduled end to class. Late arrivals are accommodated up to ten minutes after a class commences. No guarantee for accommodation is made for arrivals later than ten minutes. Cancellation Policy: Class fees are required at the time of registration to hold your place. Because we must ensure that teachers are compensated for class time, there are no refunds for cancellations. You may receive store credit when you cancel within 72 hours of the scheduled class , if we can fill your place from the waiting list. We reserve the right to cancel classes due to under enrollment or weather, at which time a refund or store credit will be issued. A1 will do its best to notify students of a cancellation at least 3 days prior to the class date. There are absolutely no refunds or compensation for no-shows. You must own a Scan N Cut machine along with a Sewing machine that can do Straight stitching along with blanket stitching. You must also have basic knowledge on how to operate both machines. 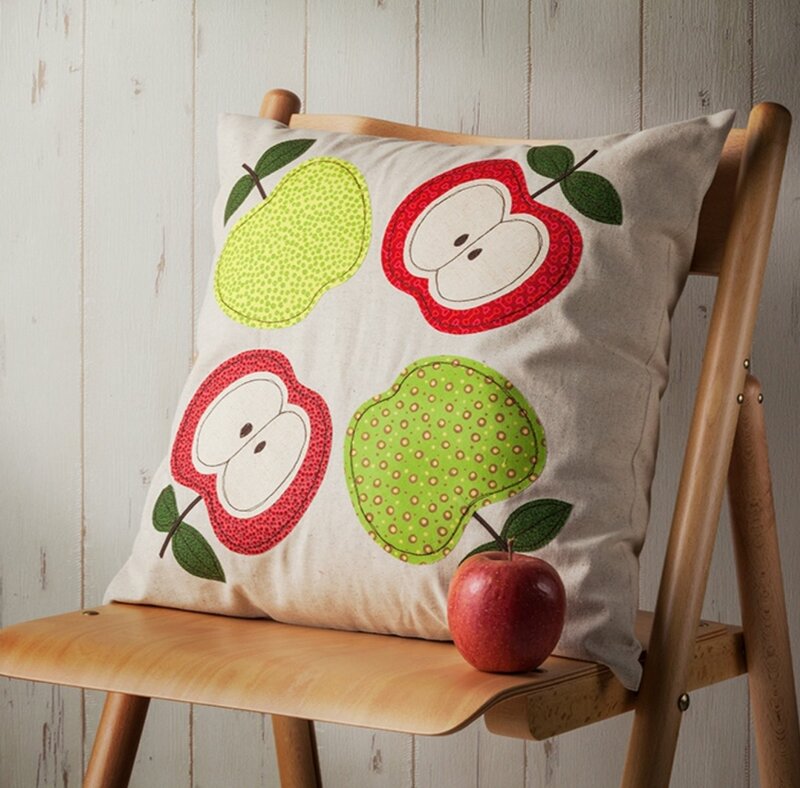 This Includes the three peices of fabric to construct the pillow, two red apple pieces, two green apple peices, four core apple pieces and the seeds.